The following report, prepared by a subcommittee of the Association’s Committee A on Academic Freedom and Tenure, was approved in October 2017 by Committee A and adopted in November 2017 by the Council. In August 2010 climate scientist Michael Mann, professor of atmospheric science at Pennsylvania State University, was opening mail when white powder fell from a letter. It was cornstarch, not anthrax, but this was but one in a long series of threats Mann has received since the late 1990s in response to his research demonstrating how global warming was producing a rising temperature curve whose shape he likened to a hockey stick. The sender of one email said that he and his collaborators “ought to be shot, quartered, and fed to the pigs along with [their] whole damn families.”2 Later this report discusses the persecution of Mann by the Virginia attorney general and a private foundation seeking to stop his climate research, as well as efforts by the Trump administration to throttle environmental science and silence scientists. These two trends together threaten not only the academic freedom of scientists but also the ability of American science to maintain its international stature and continue to contribute to the improvement of American lives. This report investigates the nature and extent of these interlinked threats and provides principles and recommendations for responding to them. Part I examines the tensions between academic freedom and national security in international scientific exchange, building upon conclusions in the 2003 report of an AAUP special committee, Academic Freedom and National Security in a Time of Crisis. That report “urge[d] the implementation of fair measures deemed vital to controlling the entry of foreign students and visitors” consistent with broader principles of academic freedom and international scholarly exchange.4 Part II examines politically motivated threats to scientific research, with emphasis on threats to climate science and on the initial actions of the Trump administration. Part III concludes the report by endorsing statements of principle and recommendations offered by national scientific organizations. 1. The government must demonstrate the particular threat to which the measure is intended to respond, not as a matter of fear, conjecture, or supposition, but as a matter of fact. 2. The government must demonstrate how any proposed measure will effectively deal with a particular threat. 3. The government must show why the desired result could not be reached by means having a less significant impact on the exercise of our civil or academic liberties. In a widely publicized case from 1999, Wen Ho Lee, a physicist at the Los Alamos National Laboratory, was charged with stealing secrets relating to the US nuclear arsenal. After nine months in solitary confinement he was cleared of fifty-eight of fifty-nine charges, and in 2006 a court awarded him $1.6 million in damages. In 2010, Guoqing Cao and Li Shuyu, two Eli Lilly biologists, were accused of passing research into cancer and diabetes treatments to China. After the scientists spent a year in detention, the US attorney dropped charges. In 2014, Xiafen Chen, a National Weather Service hydrologist, was indicted for allegedly passing information about the US dam system to China. Once again, charges were later dropped with little explanation. In 2015, Yudong Zhu, a New York University magnetic resonance imaging researcher, reached a plea deal (pleading to a single misdemeanor) after being charged with bribery and fraud in an eight-count indictment for supposedly attempting to pass university-owned research to China. The AAUP has extensively documented and actively opposed government efforts, dating back to at least the early Cold War, to exclude foreign scholars on questionable grounds. In 1952 its annual meeting passed a resolution urging “the removal of legislative and administrative barriers to the visits of foreign students and scholars to this country.” In 2006, the AAUP joined the American Academy of Religion and the PEN American Center in a suit contesting the exclusion of Tariq Ramadan, a scholar who accepted a tenured position at the University of Notre Dame only to have the government revoke his visa, apparently on the basis of what is known as the ideological exclusion provision of the USA PATRIOT Act. The same year Adam Habib, a scholar coming to meet with officers of the Social Science Research Council, Columbia University, the National Institutes of Health, and the World Bank, was intercepted at the airport and denied entry to the United States based on a portion of the USA Patriot Act excluding aliens who have “engaged in a terrorist activity.” The government did not, however, provide any evidence for its determination that Habib had engaged in terrorist activity or define the type of activity in which he had supposedly engaged. The AAUP joined the American Civil Liberties Union in filing suit on behalf of the organizations that had invited Habib to speak in the United States. Academic freedom eventually prevailed in those cases—the bans on entry for both men were lifted in 2010—but the restrictions under consideration now, even if they are ultimately defeated in the courts, create a much more broadly chilling environment for the international exchange of scholars, including scientists whose work may have no obvious political implications. It would be a mistake to assume, therefore, that attacks on science and the proliferation of “fake news” began with the inauguration of Donald Trump. The opening months of the George W. Bush administration were also marked by hostility to science. In March 2001 Bush announced he would not regulate power plant emissions of carbon dioxide, reversing a campaign promise. He then withdrew regulations drafted under President Clinton to reduce arsenic in drinking water. A report prepared in 2001 by the Democratic minority staff of the House Committee on Government Reform concluded that the administration had damaged science “by manipulating scientific advisory committees, by distorting and suppressing scientific information, and by interfering with scientific research and analysis.” The report found that these practices had undermined the integrity of information on more than twenty scientific issues, including lead poisoning, breast cancer research, wetlands policy, global warming, stem-cell research, missile defense, abstinence education, and condom use. In May 2017 the EPA effectively fired nine members of its Board of Scientific Counselors. In June it was announced that Pruitt’s EPA would initiate a formal process to challenge established climate science by empowering rival “red” and “blue” teams to respond to the issue. One team would support the overwhelming scientific consensus while the other would challenge it, thereby politicizing a scientific issue and undermining long-standing peer-review procedures. On November 3, 2017, Pruitt announced the appointment of dozens of new members to the Science Advisory Board, the Clean Air Safety Advisory Committee, and the Board of Scientific Counselors. These appointees represented various regulated industries. Tony Cox, named to lead the clean air committee, runs a consulting firm serving oil and chemical clients. He has questioned whether reductions in pollutants yield health benefits. Robert Phalen, a new science board member, has argued that the air in the United States is currently too clean for “optimum health.”30 Other appointees included officials from Phillips 66 Company, Southern Company, and the North Dakota Petroleum Council. Bridenstine’s appointment was one of several in which, to use the words of the New York Times editorial board, “denial and mediocrity abound.”33 But the administration has also left numerous science positions unfilled. In his first hundred days Trump filled only eleven science-related positions. As of early June 2017 he had announced nominees for only seven of forty-six top science-related positions requiring Senate confirmation. creating a hostile environment for scientific staff. 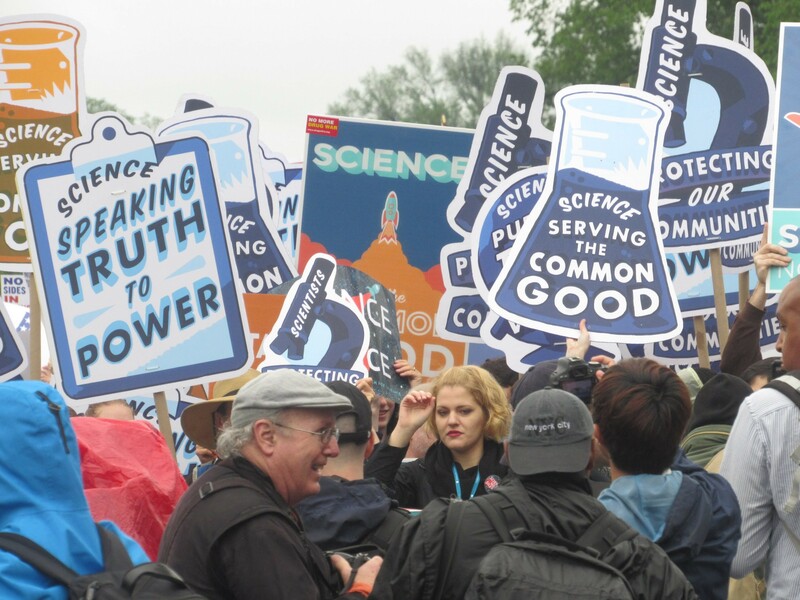 The assault on science, and especially climate science, also has powerful support in the Congress, especially from those beholden to industrial interests that benefit from a lack of regulation of the environmental damage produced by their practices. In his first six months in office, President Trump signed an unprecedented thirteen Congressional resolutions revoking science-based protections on drinking water and protections ensuring that workers are not exposed to harmful chemicals. 1. Preserve all e-mail, electronic documents, and data (“electronic records”) created since January 1, 2009, that can be reasonably anticipated to be subject to a request for production by the Committee. . . . While some antiscience bills have little chance of becoming law—for instance, a bill filed this year to abolish the EPA—both of Smith’s proposals passed the House in 2014 and 2015. After Republicans won control of the Senate, Smith’s secret science bill was approved in committee there, before President Obama issued veto threats. Smith is not the only member of Congress going after scientists. Some may be motivated by their links to industry; others seem to be responding to the religious and cultural agendas of their constituents. Dr. Eugene Gu is a surgical resident at Vanderbilt University whose research seeks to transplant healthy fetal organs in utero to fetuses with fatal congenital diseases so they can survive to adulthood with fully functioning hearts and kidneys. In April 2016 Gu received a congressional subpoena from the House of Representatives’ Select Investigative Panel on Infants’ Lives, led by Rep. Marsha Blackburn (R-TN). Gu’s start-up research company, Ganogen, is one of more than thirty organizations under investigation by House Republicans over the alleged use of fetal tissue from abortion clinics. A spokesperson for the House panel said the goal of the investigation was to “protect the integrity of research, scientific advancements, and voluntary organ donation in America.” But Gu said the negative attention from Congress created a “harrowing” ordeal for him. Fellow surgical residents at Vanderbilt became suspicious of him. Outside of the university, antiabortion activists began to harass him on social media and send him angry notes. “I felt under siege,” Gu said. “I’m just trying to save people’s lives, and now I’m being thrown into this abortion fight as a proxy. I have nothing to do with abortion, I don’t encourage abortion; I just use tissue that would otherwise be discarded. And now I’m painted as this ‘baby killer’ just for doing research as a medical student.” “All this controversy and opposition from the Republicans is stymieing my research in a pretty significant way,” he added, “which is kind of weird because the scientific community is supposed to be immune to political shenanigans and oppression.”42 Gu has temporarily suspended his research because of a lack of funds and the toxic political environment. It is not only individuals who engage in such threatening activity. Well-funded and powerful interest groups have also sought to intimidate those conducting scientific research with which they disagree, especially through freedom of information fishing expeditions. Earlier this decade Professor Mann, with the assistance of the AAUP, the Union of Concerned Scientists, and others, won a protracted legal battle to resist requests for his research records and private emails. These requests had come from then Virginia attorney general Ken Cuccinelli and a private nonprofit, the American Tradition Institute, later renamed the Energy & Environment Legal Institute. For decades scientists in and out of the academy have endorsed important principles of free inquiry and opposition to secrecy. That the search for knowledge and understanding of the physical universe and of the living things that inhabit it should be conducted under conditions of intellectual freedom, without religious, political, or ideological restriction. That all discoveries and ideas should be disseminated and may be challenged without such restriction. That freedom of inquiry and dissemination of ideas require that those so engaged be free to search where their inquiry leads, free to travel and free to publish their findings without political censorship and without fear of retribution in consequence of unpopularity of their conclusions. Those who challenge existing theory must be protected from retaliatory reactions. That freedom of inquiry and expression is fostered by personal freedom of those who inquire and challenge, seek and discover. It is sadly ironic that this pledge, formulated in the context of the Cold War in response to actions by repressive states, now seems equally relevant to contemporary American science. This report endorses these statements and urges the broader scientific and academic community to embrace and explicitly reaffirm them. 6. news outlets report more extensively and accurately on scientific issues and hold the government accountable for attacks on science. In accord with its traditions, the AAUP stands ready to work with concerned organizations to oppose executive orders, legislation, and all efforts that restrict the academic freedom of scientists. 3.Amy Harmon and Henry Fountain, “In Age of Trump, Scientists Show Signs of a Political Pulse,” New York Times, February 6, 2017. 4. Special Committee on Academic Freedom and National Security in a Time of Crisis, “Academic Freedom and National Security in a Time of Crisis,” Academe, November–December 2003, 35. 5. E. William Colglazier and Elizabeth E. Lyons, “The United States Looks to the Global Science, Technology, and Innovation Horizon,” Science and Diplomacy 3, no. 3 (September 2014). 6. Sarah Kaplan, “How Trump’s Travel Ban Could Hurt Science,” Washington Post, January 30, 2017; National Academies of Sciences, Engineering, and Medicine, letter to David T. Donahue, May 16, 2017, http://www.nationalacademies.org/NRC_test/Submission Comment on Supplemental Questions for Visa Applicants (DS-5535) NASEM 05162017.pdf; National Science Board, Science and Engineering Indicators 2016 (Arlington, VA: National Science Foundation, 2016). 8. Institute of Medicine, National Academy of Sciences, and National Academy of Engineering, Balancing Scientific Openness and National Security Controls at the Nuclear Weapons Laboratories (Washington, DC: The National Academies Press, 1999), 11. 9. National Science Foundation, “U.S. Science and Technology Leadership Increasingly Challenged by Advances in Asia,” news release 16-006, January 19, 2016, https://www.nsf.gov/news/news_summ.jsp?cntn_id=137394&org=NSF&from=news. 10. Marisa L. Conte, Jing Liu, Santiago Schnell, and M. Bishr Omary, “Globalization and Changing Trends of Biomedical Research Output,” JCI Insight, June 15, 2017, https://insight.jci.org/articles/view/95206. The US share of all research and development funding worldwide dropped from more than a third to a fourth from 2003 to 2013 (National Science Board, Science and Engineering Indicators 2016, chap. 4). The United States now ranks ninth among members of the Organization for Economic Cooperation and Development in proportion of gross domestic product spent on research. 12. Federal Bureau of Investigation, Higher Education and National Security: The Targeting of Sensitive, Proprietary and Classified Information on Campuses of Higher Education, April 2011. 13. Special Committee, “Academic Freedom and National Security,” 37–38, 43–44. 15. Anya Litvak, “Nuclear Secrets: The Ex-Westinghouse Employee Accused of Helping a Foreign Power,” Pittsburgh Post-Gazette, September 15, 2016; Lucy Hornby and David Lynch, “US Nuclear Secrets Trial Cools Co-operation with China,” Financial Times, October 24, 2016. 16. Mara Hvistendahl, “Not Guilty as Charged,” Science 350 (November 13, 2015): 735. 17. Xi v. Haugen et al., No. 2:17-cv-02132-RBS (E.D. Pa. Oct. 31, 2017). 19. Darweesh v. Trump, No. 17-cv-480 (CBA), 2017 U.S. Dist. LEXIS 27208 (E.D.N.Y. Feb. 8, 2017). 20. “AGU, GSA Respond to Immigration Ban’s Impact on Science,” From the Prow (blog), January 20, 2017, http://fromtheprow.agu.org/agu-gsa-respond-immigration-bans-impact-science/. 22. National Academies, letter to David T. Donahue. 24. “Problems with the President,” editorial, Nature 410 (March 29, 2001). See also Paul Rosenberg, “Lies, Damned Lies and Donald Trump: How the Reagan and Bush Assaults on Truth and Science May Presage What’s Coming,” Salon, December 18, 2016, http://www.salon.com/2016/12/18/lies-damned-lies-and-donald-trump/. 25. Lawrence M. Krauss, “Donald Trump’s War on Science,” New Yorker, December 13, 2016. 28. Michael Biesecker and Seth Borenstein, “EPA Science under Scrutiny by Trump Political Staff,” Associated Press, January 26, 2017, https://www.apnews.com/c1423276fb574b07953651a68a082db9. 31. Juliet Eilperin, “EPA Now Requires Political Aide’s Sign-Off for Agency Awards, Grant Applications,” Washington Post, September 4, 2017. On August 18, 2017, allegedly as part of a departmental review of all grants costing more than $100,000, Trump’s Interior Department ordered the National Academies of Sciences, Engineering, and Medicine to halt a $1 million study of the health risks of mountaintop-removal coal mining that had been requested by two West Virginia health agencies. The order came just hours before a scientific panel was to hear public testimony. See Ken Ward Jr., “Trump’s Interior Department Moves to Stop Mountaintop Removal Study,” Charleston Gazette-Mail, August 21, 2017. 33. “President Trump’s War on Science,” editorial, New York Times, September 9, 2017. 37. Sam Ross-Brown, “The Republican Climate Science Witch Hunt,” American Prospect, March 31, 2017. In August 2017 NOAA dissolved its fifteen-member climate science advisory committee, established to translate the findings of the National Climate Assessment into guidance for business and the public. 39. Rebecca Leber, “If You Liked the Inquisition, You’ll Love the House Science Committee,” Mother Jones, January 31, 2017. Smith has received $22,270 in contributions from ExxonMobil since 1998, most of it since 2008. See Steve Horn, “Exxon, Koch Ties May Help Explain Rep. Lamar Smith’s Probing Request of ‘Exxon Knew’ Environmental Groups,” DeSmog (blog), June 21, 2016, https://www.desmogblog.com/2016/06/21/exxon-koch-lamar-smith-exxon-knew. 40. Carter et al., Sidelining Science. 41. Emily Atkin, “Republicans’ War on Science Just Got Frighteningly Real,” New Republic, March 9, 2017. 43. “Targeted Online Harassment of Faculty,” AAUP, January 31, 2017, https://www.aaup.org/news/targeted-online-harassment-faculty#. 44. Oliver Milman, “Climate Scientists Face Harassment, Threats, and Fears of ‘McCarthyist Attacks,’” Guardian, February 22, 2017. Scientists are not the only targets of such efforts; government agencies are too. Judicial Watch, a conservative group, is suing NOAA for thousands of internal communications denied to it because they fall under the “deliberative process” exemption to the Freedom of Information Act. 45. Energy & Env't Legal Inst. v. Ariz. Bd. of Regents, No. 2 CA-CV 2017-0002, 2017 Ariz. App. Unpub. LEXIS 1342 (Ct. App. Sep. 14, 2017). 46. “Win for Climate Science and the AAUP,” AAUP, September 15, 2017, https://www.aaup.org/news/win-climate-science-and-aaup#. 47. Report of the Defense Science Board Task Force on Secrecy (Washington, DC: Office of the Director of Defense Research and Engineering, 1970), 9, https://fas.org/sgp/othergov/dsbrep.pdf. 48. Special Committee, “Academic Freedom and National Security,” 44. For useful discussions of security classification, see Steven Aftergood, “Government Secrecy and Knowledge Production: A Survey of Some General Issues,” in Secrecy and Knowledge Production, Cornell University Peace Studies Program Occasional Paper #23, ed. Judith Reppy (Ithaca, NY: Cornell University Peace Studies Program, 1999), http://large.stanford.edu/publications/crime/references/dennis/occasiona... and Institute of Medicine, National Academy of Sciences, and National Academy of Engineering, Balancing Scientific Openness and National Security Controls. 49. Science 192 (May 21, 1976): 767.